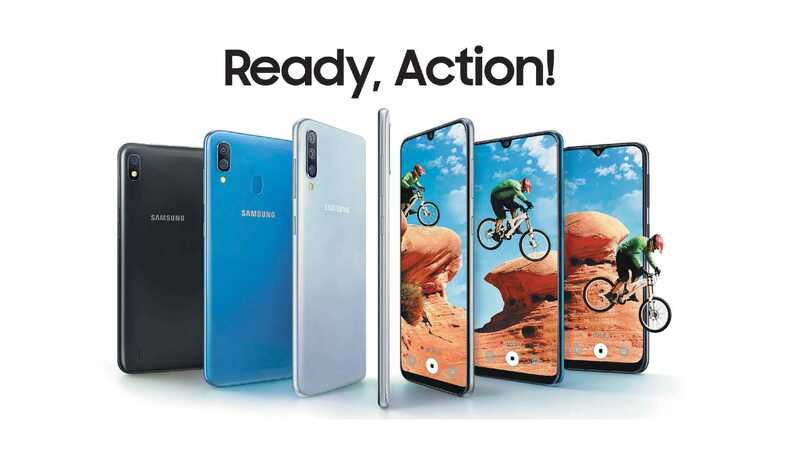 Samsung launches Galaxy A30 and A50 phones in Nepal, which are an enhancement of its mid-range smartphones lineup. The phones support features available in flagship phones like full view screen, multiple cameras, an on-screen fingerprint sensor. 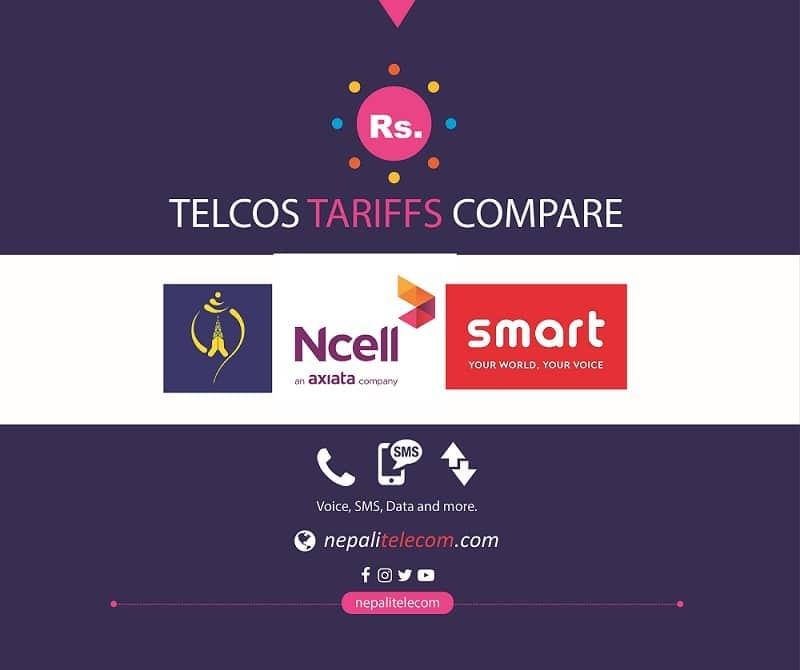 So, Samsung A30 and A50 phones are getting more popular in the Nepali market. 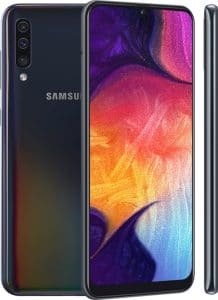 Find more of specs and price of Samsung A30 and A50 below. We have also made a comparison of Samsung A50 and A30 in its key features. Although A30 and A50 look and feel more or less same, they differ in some key specs. Samsung A30 is the lower midrange phone which has dual rear camera whereas A50 is the higher end with a triple rear camera. 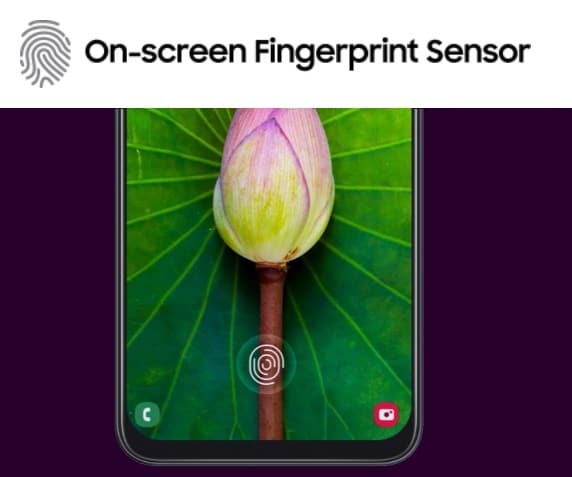 Similarly, the Samsung A50 has on-screen fingerprint sensor whereas A30 has a fingerprint sensor in the rear. 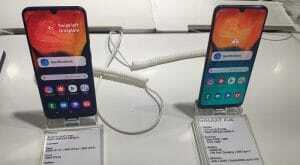 Samsung A50 is also the most affordable phone with an on-screen fingerprint sensor, that you can find in Nepali market. Samsung A50 also have curved back with a body made up of “Glastic” (plastic that looks like glass). A50 also supports 240 FPS slow-mo video. Samsung A30 and A50 also differ in the processor that powers them. Samsung A30 is powered by 14 nm Exynos 7904 processor (which is the same as that of M20). Whereas Samsung A50 has a 10 nm Exynos 9610 processor. Exynos 9610 is more powerful than Exynos 7904 in terms of processor speed, power efficiency, AI capability, Graphics, and Cellular connectivity speeds. Although there are different RAM variants of both the phones, Samsung Nepal has brought 4GB RAM versions for both A30 and A50. Both the phones, A30 and A50 has a 6.4-inch infinity U display with full HD+ resolution. 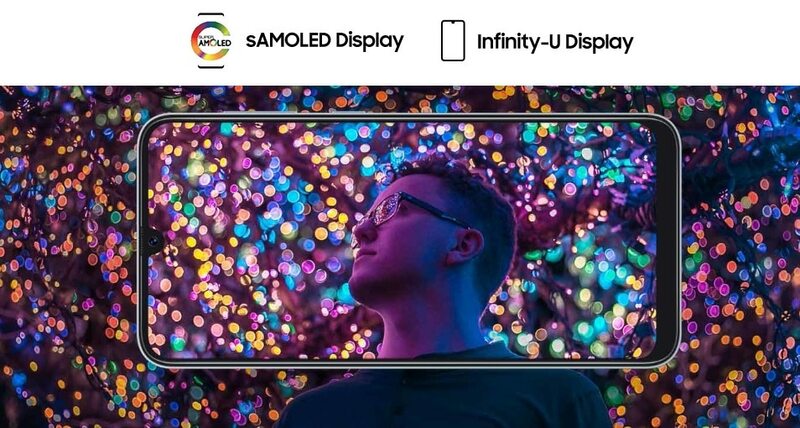 Infinity U display comes from the U shaped notch (aka tear drop notch) in the phones. A30 and A50 phones also have the same powerful battery size of 4000 mAH. The front camera in both the phones is of 16 MP. Both the phones also support Dual 4G, Dual VoLTE for dual nano-SIM. Both the phones have an ultra-wide lens that allows you to capture the panorama like shot with the same wide view on the screen. This captures the world almost exactly as you see it, especially when it comes to unrestricted wide-angle photos. They also support 123-degree ultra wide Video. The phones also have a comfortable sleek design, lightweight and smooth curved shape, making it look alluring. Price (MRP): Rs 28,490 (Rs 26,990) Read more. Samsung A30 and A50 phones are now available in the Nepali market in 4GB RAM and 64 GB storage variants. 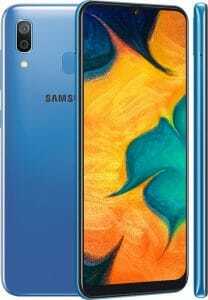 Samsung A30 costs Rs 28,490 whereas the price of Samsung A50 is Rs 33,490. The MRP price differs in only Rs 5000 for A50 being the higher end (better processor, triple camera and on-screen fingerprint sensor). If you are looking for a phone with flagship specs in an affordable price range, then we recommend buying A50. Otherwise, for a simple user, A30 won’t even dissatisfy you, at least with the spec sheets on paper.